This preventive oral health program is provided for children at his/her school. The goal of this program is to teach each child how to properly clean his/her teeth, provide an oral assessment, if needed, dental prophylaxis (cleaning), fluoride varnish treatment and place protective sealants. Dental sealants are tooth-colored protective coatings on the chewing surfaces of healthy back teeth. Permission is required from one parent or the legal guardian before a child can take part in this program. If permission is granted, the child will receive an oral assessment, dental sealants and fluoride varnish by a licensed dental hygienist . If children are covered by Medicaid, parents are asked to please provide the requested information on the attached forms. Children, who have submitted a parental consent, but are not covered by Medicaid, will receive the dental sealants and fluoride at no cost. A licensed dental hygienist from North Florida Medical Centers will provide an assessment of the children’s teeth. Children are not given any sedatives, shots, medication or x-rays. 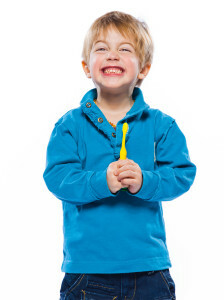 If a child has cavities, s/he will need the cavities cared for in a dental office. After a child is seen, a letter will be sent home describing what was done and what follow-up care is needed. This program should not replace a complete dental check-up in a dental office. If you have any questions, contact us at 850-508-0132. Return the consent forms to your child’s homeroom teacher. If you would like your child to receive these services, you much complete both sides Sign and Return the consent forms to your child’s homeroom teacher.